There are just a few short weeks to go before the Cheltenham Festival gets underway. This year, the betting has hotted up earlier than ever, and the twists and turns are certain to continue at the day draws closer. To prepare you for the first major event of the 2018 racing season, here is our definitive guide to the festival. Cheltenham Racecourse, also known as Prestbury Park, is just outside the ancient spa town of Cheltenham. The usually sleepy town comes to life every March to welcome thousands of racegoers to the course, which in the shadow of the imposing Cleeve Hill. While the Cheltenham Festival is run over four days, it can really be split into two parts. The first two days are run on the Old Course, and days three and four take place on the New Course. Both courses are left-handed and similar in nature, but there are some crucial differences. The Old Course, which will feature the Champion Hurdle and the Queen Mother Champion Chase, has a shorter run-in and the emphasis is very much on speed. The New Course hosts the longer showcase events, the Stayers' Hurdle and the Cheltenham Gold Cup. Here, it is all about the horse’s stamina, especially in the final climb up Cheltenham Hill. It might not have the royal connections of Ascot, but Cheltenham is the festival that serious punters can’t miss. Millions of pounds change hands on every race, and around £500 million will be wagered over the four days. The pundits from Racing Tips are at hand with a huge range of festival tips for everything from the opening support races to the Cheltenham Gold Cup, and will be the go-to resource for both seasoned punters and first timers. Legend has it that racehorse owner and keen gambler JP McManus regularly places six-figure bets on his top tips. But for the rest of us, many on the on-track bookmakers accept bets from just £2, meaning everyone can join in the fun. If McManus does start splashing the cash this year, he will be certain to put a few pounds on his much fancied gelding Buveur D’Air. 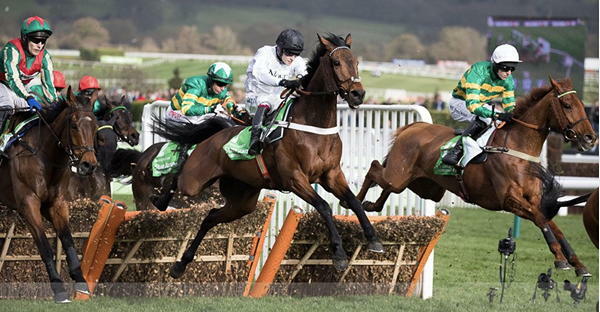 The horse romped home in last year’s Champion Hurdle and is odds-on to repeat the performance this year. Keep an eye on his performance this week at Sandown as he limbers up for the big event. As far as the Gold Cup itself is concerned, Nicky Henderson’s Might Bite is the bookmakers’ favourite and has been attracting all the early betting. The smarter move might be to look further down the race card for some tempting each way bets. At present, Native River and Coney Island stand out at 10/1, but all that could change depending on how the Irish Gold Cup pans out this weekend. Tickets for the final day typically sell out in advance, so if you want to see the Gold Cup live, buy yours now. For the other days, you can usually buy tickets on the day. See you there!